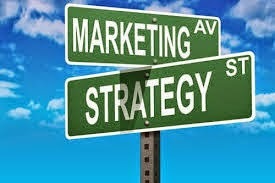 Here is a link to the latest QVM social media promotion relating to New Years celebrations and QVM's offer. Please note that you can access the latest marketing update at any time by clicking on the QVM Marketing Blog link under the SPECIAL LINKS heading at the top of the column on the right side of this page. 29/12/2014 21:28:28 New Year Wishes "To all our fellow traders and management, may the new year be fruitfull (pun intended) and all endeavours successful. 29/12/2014 12:14:37 7 days trading 9-4 "The concept is great. the idea sounds great ... as long as our merchandise can be protected overnight, I would agree with this .."
QVM was open on Monday 22nd December and Wednesday 24th December as additional trading days in the lead up to Christmas and we were interested to find out from traders how they fared. This is purely anecdotal feedback based on discussions with traders and we welcome your feedback if your experience was different or if you have any observations to make. In the food areas, meat & fish hall, deli hall, and fruit & vege aisles, trade was strong although some questioned the merits of Monday trading. That appeared to be a quieter day. In the top end there was a bit of a mixed bag although Tuesday was strong with many surprised by the good business levels on Wednesday. Monday was generally considered a quieter day although for a couple of traders it was their best showing. The general consensus seemed to be that the structured market set up in C, D, and E sheds looked good and worked well on the special trading days. Next year Christmas Day falls on a Friday and we will once again need to consider the merits of Monday and Wednesday trading. There are many who feel that quieter trading on those days is simply a price we pay for providing convenience to our customers and the surety of continuous trading at this important time of year. 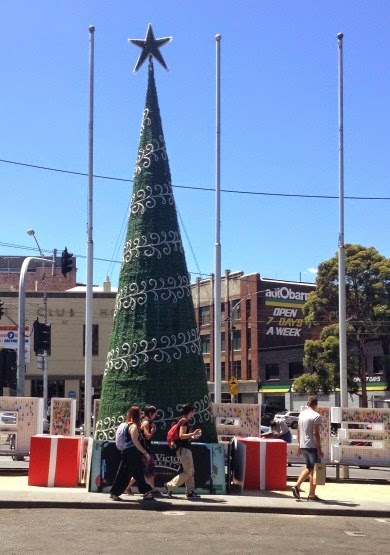 Christmas 2013 was a low point in decorating Melbourne’s famous Queen Victoria market for Christmas and management and CoM agreed that they would do much better for 2014. Well, did they? Here is our assessment based on input from traders. The Queen Street Christmas tree – we were to get a giant real tree a bit like what ended up in City Square but we ended up with a fake tree that looked quite magnificent at night but disappointingly bland during the day. Given that most of the market’s activities occur during the day, this was disappointing. With modern LED technology it is possible to make a tree shine during the day so no excuses. This was a fail for us. Golden Star Decorations – these were re-painted for 2014 and really did sparkle. We can also say that they were quite plentiful around the market but, a bit like our Christmas tree, they were bland and really needed some added baubles or foliage. Christmas Wreath on Elizabeth St. – no real complaints here. 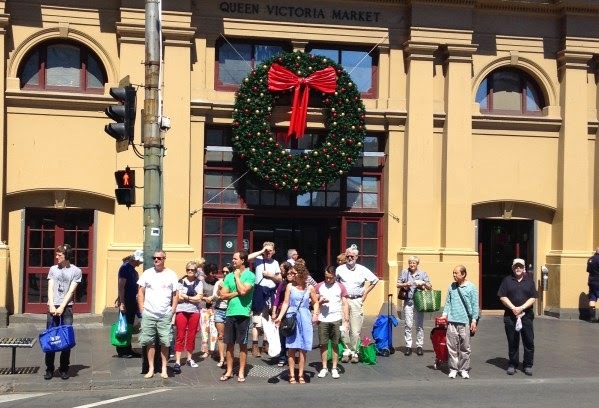 The wreath looked very decorative and a fitting adornment to our famous facade on Elizabeth St.
Photo Stands – These were positioned around the market and we noticed they were being used on occasions by customers but not exactly embraced. A nice try. Stall Decorations - A few traders put some effort into decorating their stalls and the Fruit & Vege traders in H shed probably did the best collaborative presentation but, on the whole, traders were found wanting. QVM is a big site and for Christmas decorations to have the right impact we need a combination of management and trader input. We are a traditional market and the tradition of Christmas could really fit well but a lot more traders need to make the effort. Many of our traders are not culturally attached to Christmas and will need some guidance on what may be appropriate forms of decoration. These will be useful observations for next year and possibly also for the upcoming Chinese New Year promotion. In Summary – QVM and CoM did do better than last year with decorating our market but there is a long way to go if we are to meet reasonable expectations for one of the world’s great markets. Traders also need to lift their game. And for a final word we show you a photo of the incredible laser light display on our city hall this year. That is the sort of commitment we are talking about!!!! Permanent 7 Day Stalls – One Trader’s Controversial Idea. QVM Renewal has brought with it much discussion about how our market can be re-vitalised and this trader has a controversial idea which has already gained support amongst some fellow traders. - Stock and fittings would remain on site. - Each stall would be professionally merchandised (a bit like the Therry St. marquee). - Effective weather-proofing around the market and between sheds would be essential. - The market would operate 7 days per week between the hours of say 9:00am and 4:00pm providing predictable convenience for our customers. - Vehicles and storage boxes would be kept out of the market with stock being trolleyed in from designated loading areas (a bit like what happens in the Deli Hall). 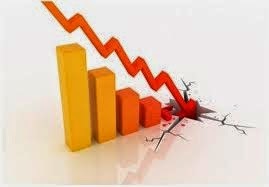 - Extra security would be required to safeguard stock with traders paying a small levy. (Savings on box hire and stall set-up would help cover the cost). There is much to consider with this proposal. In the past, the idea has been rejected because permanent stalls are contrary to a traditional open market. But retailing is changing and, as customers look for more convenience in their shopping, this idea would make it easier to convert set-up and pack-up time to serving time. In other words we could trade longer each day without having to spend more time at the market. The Therry St Marquee has given us a glimpse of how a well-merchandised market could look. Apparently every participant in that experiment applauded the convenience of leaving stock and displays on site. The seven days per week proposal will raise some concerns for time poor small family businesses but, as our proponent has argued, the cost of organising staff to operate a stall for selected times should be covered by the additional trading opportunities. 03/01/2015 13:48:51 Seven day trading "Seven days a week trading, fix trading time same for everyday. Fix location with weather and stocks protection will save cost and energy." Our final two winners before Christmas in the Cash Giveaway Promotion were both local customers. Sylvia from Keilor (seen in the photo with Bindi and Jenny Pyke) and young Samantha from Taylors Lakes. Cindy from Customer Service in the F shed Shop 1 advised us that Samantha was having an absolute ball spending her vouchers and had returned to the Information Centre a number of times to get advice on where to source what she wanted in the market. As Cindy said - "It is fantastic to see a happy little girl with the winning prize on Christmas eve! Pure gold. A perfect ending to the pre-Christmas mayhem and all the hard work!" It was a nice touch for QVM management to hand out free paper carry bags this week. The paper bags seemed reasonable quality and used re-cycled materials. They were certainly a cut above the normal cheap plastic rubbish most of us traders use and wasn't it great to see the QVM logo on a quality bag out and about rather than one of the recent international fly-ins that seem to be dominating CBD retailing. We wonder how many traders would like to get regular access to bags like this? Friday's Cash Giveaway winner was Shani from Bentleigh. 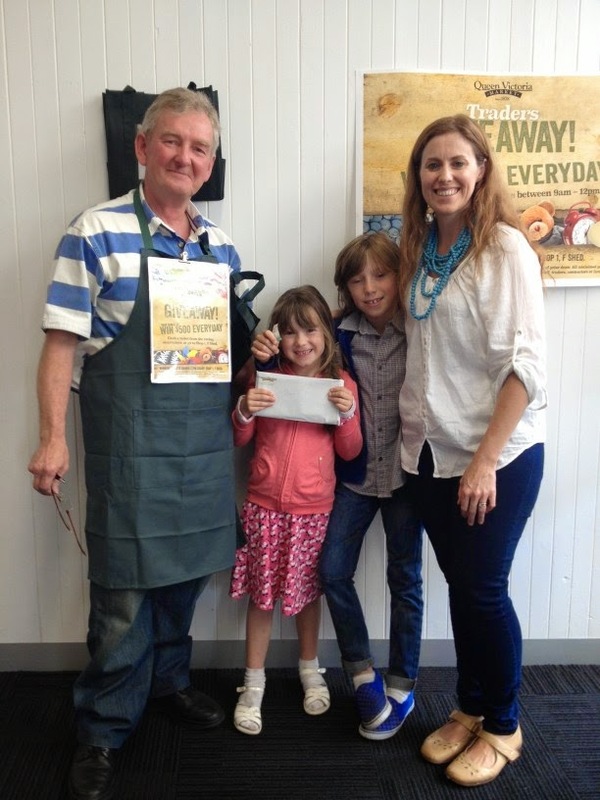 Shani is shown in our photo with Mark from Eggporium who drew out her lucky number and earned her $500. Shani shops weekly at QVM and after a string of tourist winners it was nice for a local shopper to share in the riches. Saturday's draw failed to get a winner so $500 went to the Royal Children's Hospital. The large crowd attending the draw in Therry St. could be forgiven for being disappointed at not winning but in fact applauded loudly when it was announced that the hospital would be the beneficiary. This promotion has generated a lot of good feeling in many different ways. 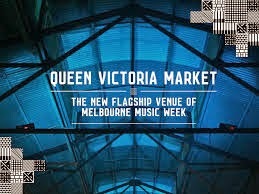 QVM have rejected a proposal by Trader Representatives for rent abatement for traders in the JKL block for the two Sundays of Melbourne Music Week. Trade on those two Sundays was restricted by a number of issues including loud music and profane lyrics. We understand that individual claims for loss of business during the event are still being considered. 1. Domino’s opens 1400th pizza store. 2. Gloria Jean’s stores close in India. 3. Avon to pay US$100m in case involving claims of bribing Chinese officials. 4. Lindt re-opens stores following deadly Sydney siege. 5. Harbour Town Shopping Centre sold. 6. UK supermarkets slash prices in fight against German discounters. 7. Jones the Grocer in administration. 8. Pizza Hut launches digital menu that tracks customer eye movements. 9. Coles settles with ACCC over claims of unconscionable conduct with suppliers. 10. Noni B expects third consecutive annual loss. The difficulties of retailing in the current economic climate have once again been highlighted with some key businesses going into receivership in recent weeks. Following on from the news that bakery chain Pieface was up for sale after trading difficulties (with Woolworths being a potential buyer), the high-end grocery chain, Jones & Co, has succumbed to administration and now we hear that menswear chain, Man To Man, is in difficulty and buyers are being sought. Jones & Co has around 20 stores with 4 in Australia and others in NZ, Qatar, Singapore and United Arab Emirates. Its Australian operation including food wholesaling has been affected by the receivership. Man To Man has 82 stores across Australia and turned over $39m in 2014. It reported that it was in difficulty after a failed investment in a footwear chain and administrators are hopeful of selling the business as a going concern. The idea for our daily cash giveaway event came from Jason following a promotion he was involved in at a market in Tasmania. Jason mentioned the idea to one of our Trader Representatives, who mentioned it to our CEO, who suggested our marketing people look at it, and we ended up with the promotion we have today. It seems to be generally recognised as a low cost but very effective form of marketing that has created a real buzz around QVM. Jason would like to see some changes to the format. He would like to see tickets being tied in some way to purchases within the market and he would like to see some jackpots because jackpots really attracted crowds when he was involved in the Tasmanian event. 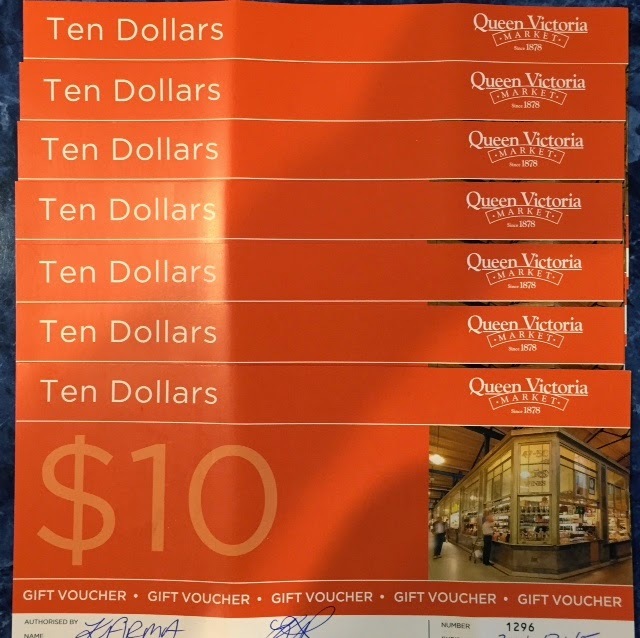 A full appraisal of the QVM Cash Giveaway will be conducted after Christmas. Jason tries to play down his role in this promotion. He says he was just proposing somebody else's idea but all good ideas have to start somewhere and Jason made sure we found out about this one. Just like in a game of Australian Rules Football it is the extra effort, the 1%’ers, that add up to success. Hopefully we are starting to rack up a few of those 1%’ers as we compete against every other retail centre in Australia. 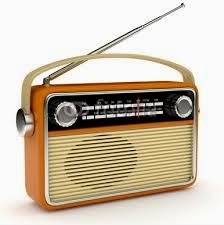 The following link is for QVM's radio advertisement commencing Friday for the free parking offer for Mon-Wed next week. This will be playing until Wednesday afternoon across Mix 101, Fox FM, Triple M & 3AW during various breakfast, morning and afternoon segments. To hear the ad simply clink the link and download the audio file to your computer. QVM will be promoting Chinese New Year celebrations through a series of activities linked with Melbourne’s high profile in Chinese tourism. Over 10 days of festivities (19th February - 1st March), visitors to QVM will experience traditional Chinese lion and dragon dances, a lantern display in the Food Court and a 15 meter long dragon which will be positioned at the end of Queen Street where the Christmas tree currently sits. Two of QVM’s marketing staff have created a new blog designed to highlight some of the wonderful produce and products available at our market. With over 800 businesses at QVM it is difficult to keep track of all the products available and whilst there are many mainstay products which are obvious to most of our customers, there are also many hidden treasures that need more exposure. Here is the link to the new blog - http://www.qvm.com.au/blog/hidden-treasures-christmas/ . The blog contains interesting and useful information including a list of all the latest twitter feeds going out to all our customers on social media. Two of our box hire operators, B&R Moulton Containers and R&H Storage Facilities have joined forces to form a new service company to run their day to day businesses. The new arrangement has brought with it some new conditions and fees including a call out fee of $50 (plus $10 per box) for after hours retrieval of boxes. Cancellations before 6:00pm the previous day will be exempt from the fees. Full details are available from QVM Logistic Solutions (0449 088 933) and are explained in a leaflet being distributed to stallholders. 1. US retail sales on the rise - plus 5.7% over last 12 months. 2. Godfrey's share price up 3.6% on first day of trade. 3. 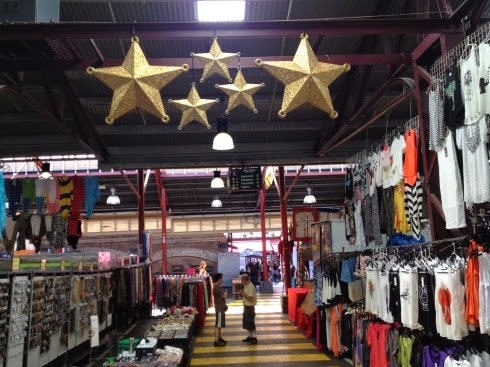 Woollies sells Brickworks Marketplace in Adelaide for estimated $75m. 4. Westpac says latest consumer confidence drop "very disturbing". 5. Online e-tailer, Shoes of Prey, opens first store in Sydney. 7. Woolworths shows interest in collapsed bakery chain, Pieface. 8. Oroton predicts disappointing first half as it cuts back on discounting. 9. NZ Post sells off its Australian courier business, Couriers Please. 10. Woolworths buys one of China’s largest alcoholic drink businesses. Fridays winner, Pong, is from Tarneit and can almost be considered a local but his visit to QVM was for the purpose of buying souvenirs for his family to take on an overseas trip. Pong won't be able to go because of an injury to his hand so he is going to keep some of his $500 winnings as consolation while the rest of his family is away. Friday morning's breakfast for traders was ably conducted by members of the management team and got a positive response from traders. Latecomers missed out on the lobster tails (only joking) but there were plenty of sausages, onions and bacon to go around. Setting up duties meant that most traders could only spend 10 minutes or so to socialise but the general consensus seemed to be that this was a worthwhile event and should be repeated next year, perhaps with a 6:00am to 8:00am spread (and more lobster tails). 13/12/2014 08:13:14 Friday breakfast "A thank you to management for this opportunity. It was not about the sausage sizzle but about being able to get together in a neutral setting. It was an opportunity to openly communicate. I learned a lot that has given me a new perspective on several matters and clarified others. 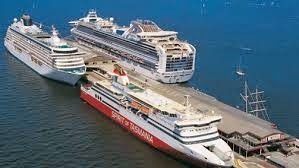 Management have announced a special car parking arrangement during Christmas week for QVM customers. Customers will be allowed 3 hours free parking at any time of day with a maximum fee of $10. It is hoped that the special arrangement will encourage patronage at this very important trading time. The allocation of C, D, and E sheds for the special Christmas Monday and Wednesday markets will allow additional car parking for customers in J, K, and L sheds on those days. The cut off point for traders to make compensation claims for Music Week disruption is this coming Tuesday 16th December. Trader Representatives have made a blanket claim for rent relief for traders who traded on the two Sundays in J,K, and L sheds between the MMW stage area and the bottom walkway and we are waiting on a response from management. However individual traders who believe they have a claim for lost business need to apply in writing by mail to The Manager, QVM Pty. Ltd., 513 Elizabeth St. Melbourne, or via email to info@qvm.com.au. 1. Permanent Traders who were displaced by Music Week and could not be offered equivalent space. 2. Permanent Traders who could not be offered any space and went home. 3. Permanent Traders who were relocated multiple times throughout the event. 4. Permanent Traders who suffered from disrupted customer flow caused by aisle closures - e.g. J shed traders. 5. Casual Traders who could reasonably expect to trade but were sent home or discouraged from attending the market. Traders who believe they have a claim will need to provide supporting evidence including sales figures and historical trading data. 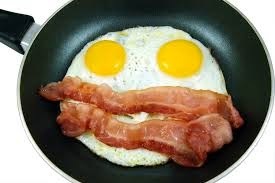 QVM is putting on a free breakfast this coming Friday morning and in an historic moment for management/trader relations the chefs will be management staff. Management will prepare and provide breakfast for traders between 6:00am and 7:00am on Friday 12th December at the top end of A shed. There will be festivities including a visit from Santa and all traders need to bring is a healthy appetite. You may not normally get to the market this early but an opportunity for as free breakfast served up by management staff sounds too good to miss. And what a great opportunity to socialise with fellow traders. 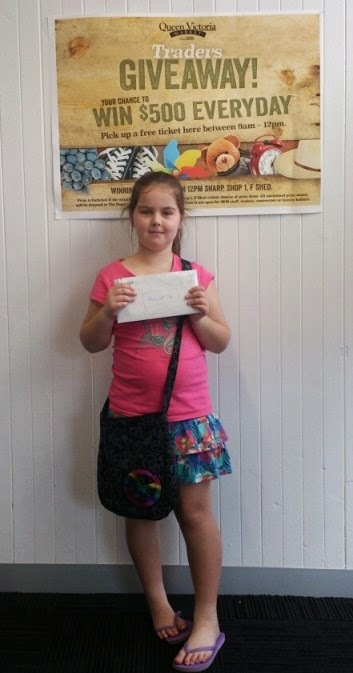 Young Sahara was the lucky winner of Saturday's Traders Cash Giveaway. She was very excited with her win and when asked by her Mother what she wanted to buy, she said a live baby duck. That was going to be a problem with the family flying back to Adelaide in a few days but no doubt she found many other items to choose from around the market. 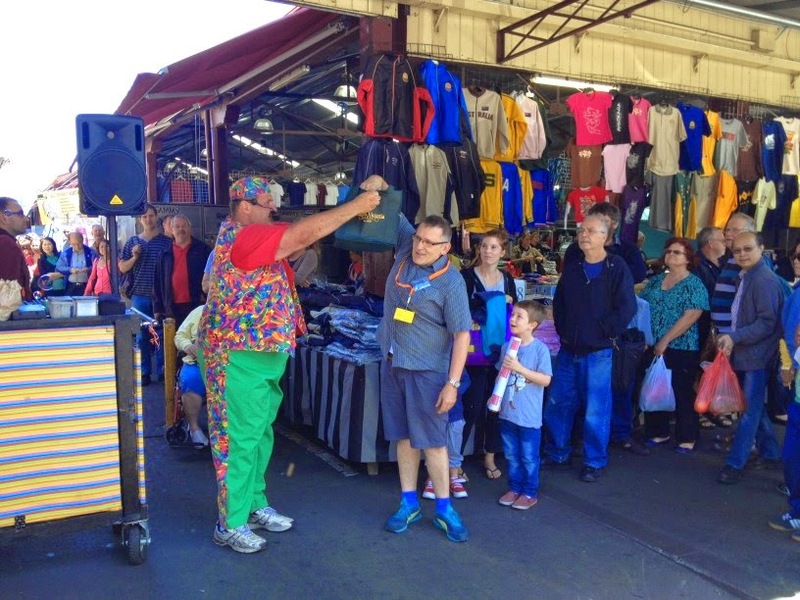 Attached is the photo of Saturday's giveaway presentation at The Queen Victoria Market. Sahara was a delightful recipient and traders are very happy she was able to share in our promotion. Interstate and intrastate visitors are a very important part of our customer base at QVM. We look forward to seeing you all again on your next visit to Melbourne and the market. On behalf of QVM Traders. We understand that the F1 shop ran out of entry forms during the week which suggests that customer interest in our Cash Giveaway is gaining momentum. The buzz created on site with Harry’s music cart and the theatre created by a public draw in Queen St. is being supported by radio advertising encouraging customers to come along and participate. Following is a basic script from one of next week’s live radio advertisements on FOX radio. 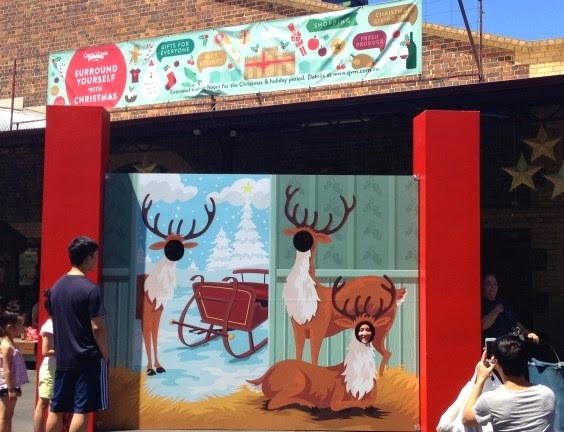 · “It’s Christmas time at Queen Victoria Market. And the Queen Vic traders are celebrating the festive season by rewarding customers with a daily cash prize every Market day! · Walk the Christmas Trail and take photos with your friends and family. · Plus there’s a Christmas Market from Craft Markets Australia today in L Shed . Last week’s QVM letter to all traders regarding arrangements for additional trading days at Christmas raised concerns from traders on two fronts. Firstly there was the decision to treat the additional Monday and Wednesday trading days in Christmas week as “special markets” rather than just apply the standard template. Using past practice, the Monday would have been declared, say a “Tuesday”, for the purpose of stall allocations and the Wednesday, say a “Thursday”. Traders like the comfort of knowing where they are likely to trade when deciding whether to take up extra trading opportunities. However, QVM wants to allocate stalls on these two days in a structured way that will avoid last year’s blank spaces (apparently there were a number of absentees) and make our market look more appealing to customers. In addition they want to create extra parking for our customers at this very busy time for the market. The plan is to create a full market in C, D, and E sheds on the Monday and Wednesday with car parking extending from the asphalt car park into J, K, and L sheds as it does normally on non-trading days. We understand that Market Officers have already started the process of asking applicants where they would like to be positioned in C, D, and E sheds and they will be making every effort to accommodate individual wishes. If C, D, and E sheds become full, the market will extend into J shed. The second point of concern related to SL traders who trade on Thursdays and Fridays having to pay extra rent for the additional trading days. Rents have been announced for the special markets at $23.45 per single stall. Essentially there is no argument with PE License holders paying rent. They only pay for the days they operate their stalls. SL Traders on the other hand pay monthly rental which includes trading and non-trading days, and public holidays which happen to fall on normal trading days. It was felt that SL traders, having lost two trading days (Thursday Christmas Day and Friday Boxing Day) were being unfairly treated. In a sense they have already paid for those days in their monthly rent and asking them to pay additional rent for the special Monday and Wednesday required re-consideration. 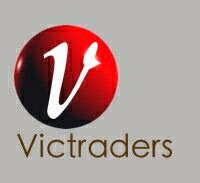 Full details will be explained in a special Trader Bulletin to be distributed over the weekend. 05/12/2014 20:39:42 Monday, and Wed special market days. "I wonder if we will have power allocated to us traders who need it to operate? 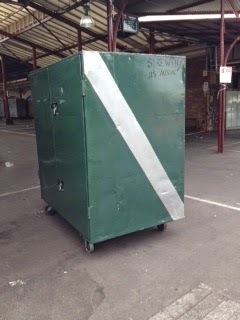 We have it at our regular stalls on the market days we trade, but what will happen if they move us to the other sheds??? Looks like well not be able to trade." Management have confirmed that they will be providing electricity for traders who currently have the facility on their normal trading site. Traders will need to specify that in their application. - Ed. 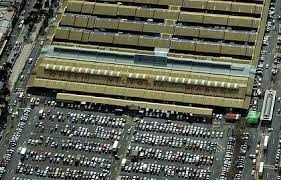 06/12/2014 09:01:23 Special trading days "From past years , the car park was not full, trade on Mondays and we'd were like a regular trading as far as turnover, leave traders be. We can not be moved all the way to the other side of the market...it will not work ." QVM have given us a briefing on the 2014/15 cruise ship season and the arrangements to bring cruise ship tourists to our market. The first QVM tour will occur tomorrow, Saturday 6th December. Queen Victoria Market is featured on two of the shore excursions, which include direct coach transfers from Port Melbourne to QVM. We would be very interested in receiving feedback from traders on their experience with this group. 06/12/2014 19:11:32 cruise tours "Would tourist be required to pay for this tours? If so it will not encourage them to spend additional money at the market. With the money allocated to promote the market why not have free shuttle buses to and from the pier. " Here are some early comments from this weekend's articles. Keep them coming! 30/11/2014 19:57:07 Christmas Decorations "Just wanted to know if all the Christmas decorations were up now or is there more to come? The re vamp of the stars at the end of each shed is a great start but is that it ! A tree and some new, or should I say old but updated stars, is all we get !!!! Just think of how many people flock to see the Myers Window! If we could have all those people come to the Q V M to see our decorations think of all thoses extra customers! Why is it that an icon like the Q V M has the most crap Christmas Decorations in the city! Crown Does it so well ! 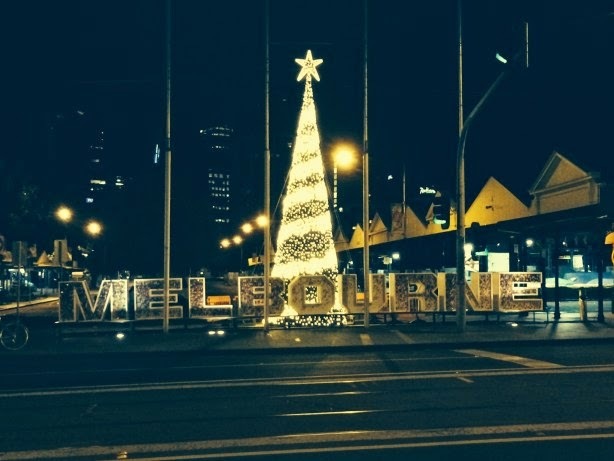 We should be a destination point for Melbourne for everyone to come to at Christmas." 01/12/2014 13:14:28 Christmas decorations "I agree the decorations do not knock your socks off.the decorations at Crown are magical,perhaps the QVM could' be some where in between."